Contact Bengis Fine Art & Appraisal for appraisals on all art prints. Just complete the request form below and we will quote individually. In most cases all we need are good photos with dimensions. Or call us at 305-542-0376 to discuss your works of art. 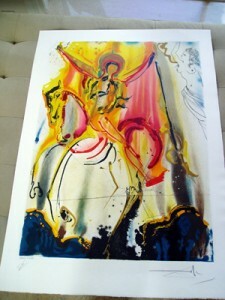 Appraisal of a single piece: $150.00 | Call 305-542-0376 to arrange pricing for multiple pieces. Contact us at 305-542-0376 for a quote on appraisals for non-insurance purposes such as estate or property settlement evaluations.